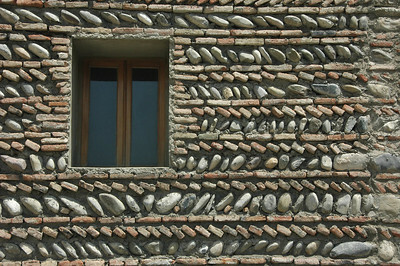 EarthPhotos Republic of Georgia Gallery. Hover for info, click to enlarge. 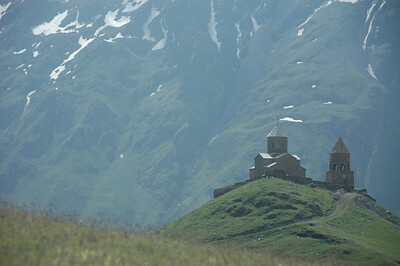 14th century Trinity Church (Tsminda Sameba) near Mt. 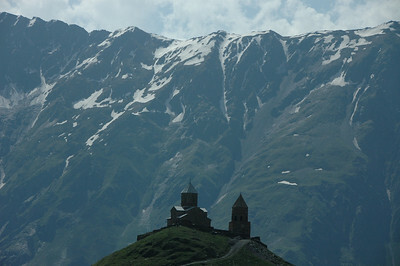 Kazbegi, Caucasus mountains, Republic of Georgia. 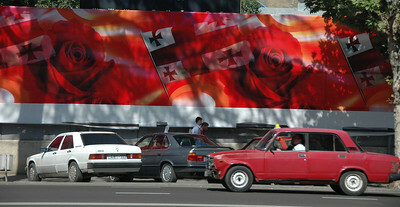 Billboard celebrating the "Rose Revolution," Tbilisi, Republic of Georgia. 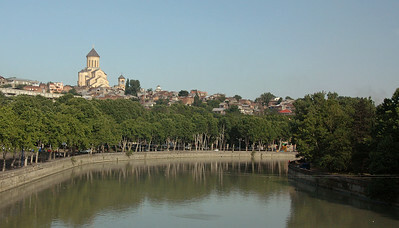 The Mtkvari River, Tbilisi, Republic of Georgia. 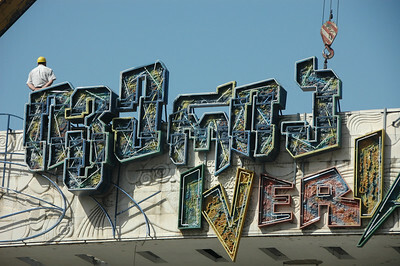 Building construction, Tbilisi, Republic of Georgia. 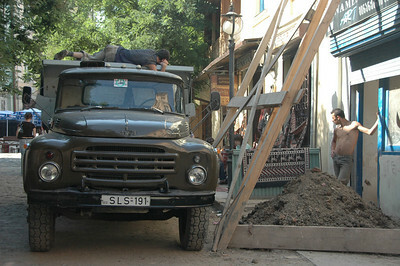 Construction crew workin' overtime, Tbilisi, Republic of Georgia. 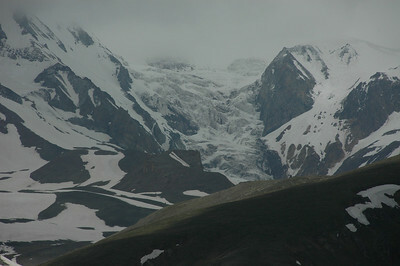 The Caucasus mountains from the Georgia Military Highway, Republic of Georgia. 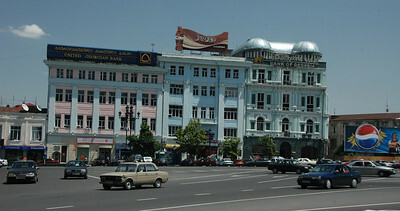 Freedom Square, Tbilisi, Republic of Georgia. 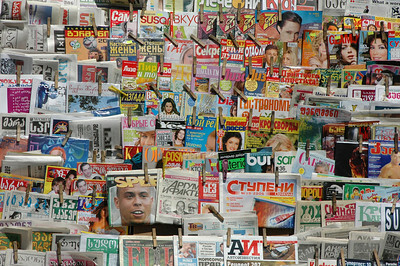 Newsstand, Tbilisi, Republic of Georgia. 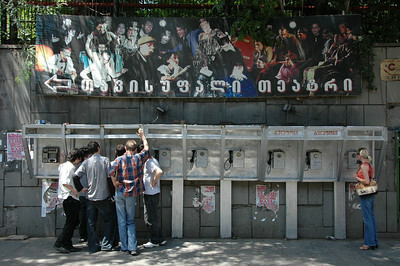 State of the art telecommunications, 2006, downtown Tbilisi, Republic of Georgia. 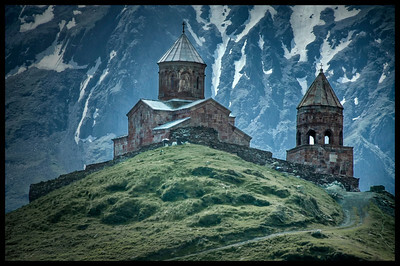 14th century Trinity Church (Tsminda Sameba) near Mt. Kazbegi, Caucasus mountains, Republic of Georgia - HDR. 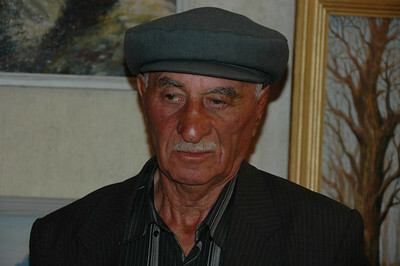 Artist, carver of bone and horns at an exhibition in Kazbegi town, Republic of Georgia. 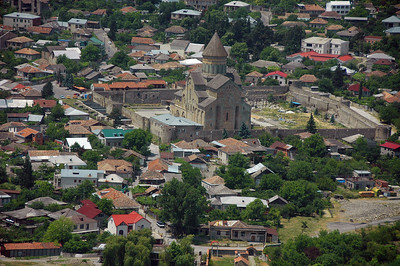 Georgian Orthodox Svetiskhoveli Cathedral, first built in the 4th century, in Mtskheta, the ancient capital of the Republic of Georgia. 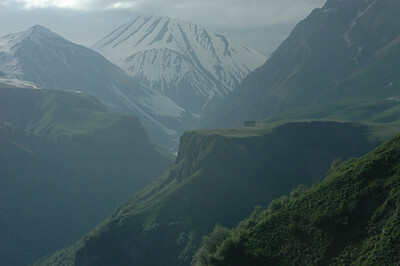 High Caucasus mountains from the Georgia Military Highway, Republic of Georgia. Fancy a kebab for lunch? 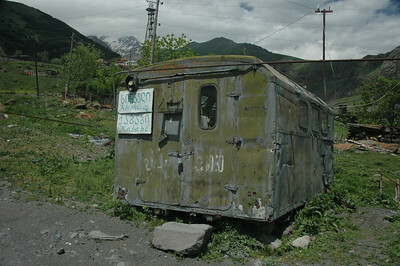 Outside Kazbegi town, Republic of Georgia. 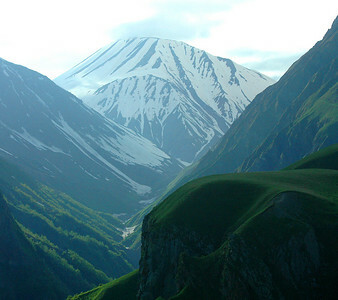 High Caucasus mountains along the Georgia Military Highway, Republic of Georgia. 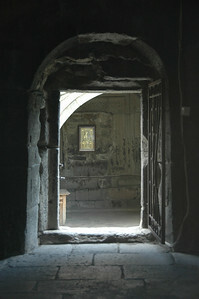 Entrance to 14th century Trinity Church (Tsminda Sameba) near Mt. 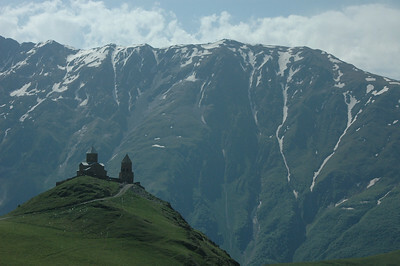 Kazbegi, Caucasus mountains, Republic of Georgia. 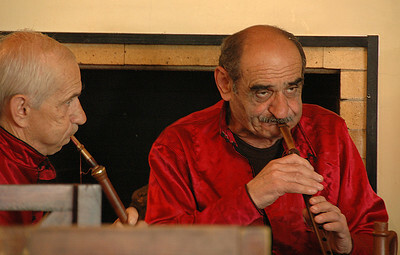 Duduki musicians, Republic of Georgia. 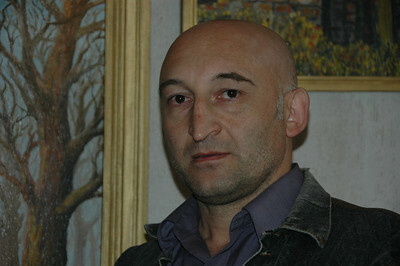 Painter from Vladikavkaz, North Ossetia, Russia, in Kazbegi, Republic of Georgia. 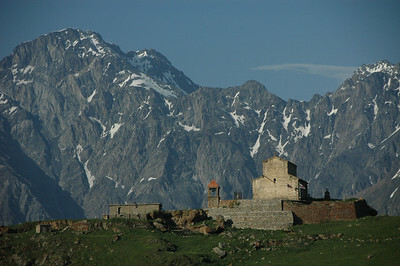 Georgian Orthodox church and lookout, high Caucasus mountains along the Georgia Military Highway, Republic of Georgia. 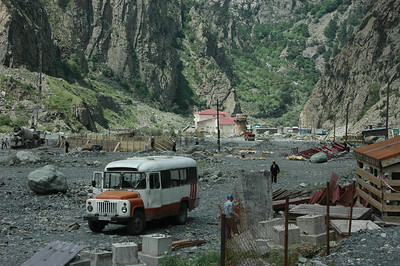 Bus at construction of new customs/immigration border post, Republic of Georgia's border with North Ossetia, Russia. 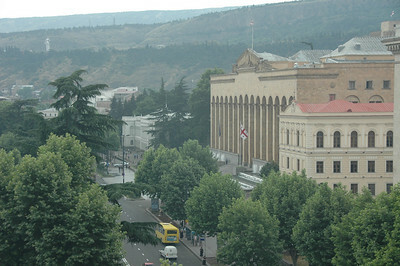 Parliament building, Tbilisi, Republic of Georgia. 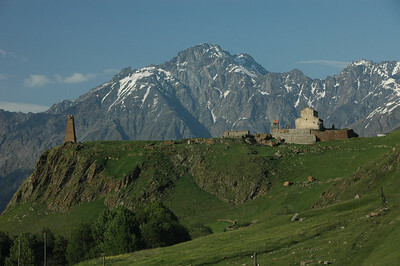 14th century Trinity Church (Tsminda Sameba) and Mt. 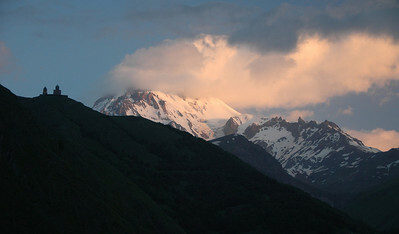 Kazbek (in clouds), Caucasus mountains, Republic of Georgia. 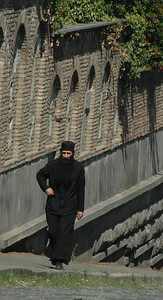 Holy man, Tbilisi, Republic of Georgia. 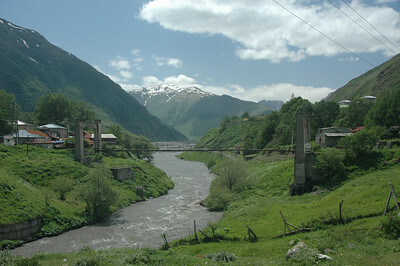 Bridge over Terek (Tergi) River, Kazbegi town, Republic of Georgia. 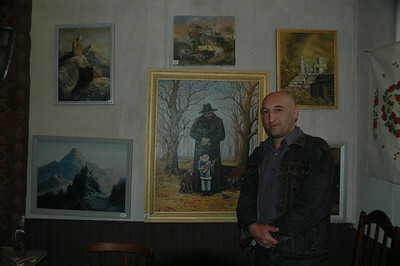 Painter from Vladikavkaz, North Ossetia, Russia, and his work, in Kazbegi town, Republic of Georgia. 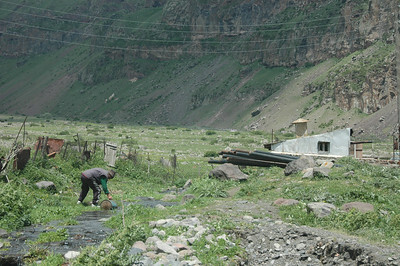 Scene on the road to Trinity Church (Tsminda Sameba) near Mt. 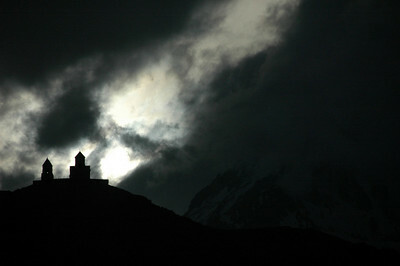 Kazbegi, Caucasus mountains, Republic of Georgia. 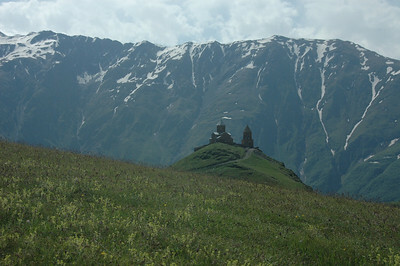 14th century Trinity Church (Tsminda Sameba), Caucasus mountains, Republic of Georgia. 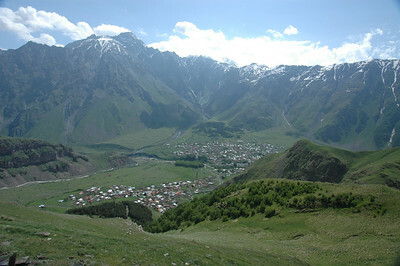 The high Caucasus, and Kazbegi town below, Republic of Georgia. 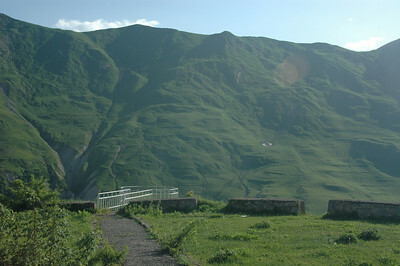 The road over the Caucasus mountains to Vladikavkaz, North Ossetia, Russia, from Kazbegi, Republic of Georgia. 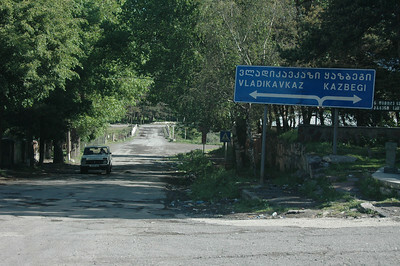 Vladikavkaz is about 25 miles from the border. 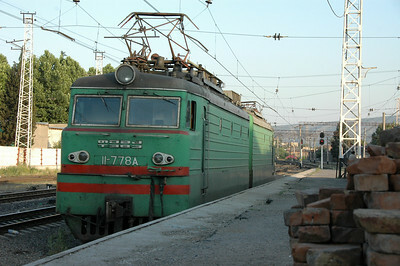 Train at Tbilisi station, Republic of Georgia. Gergeti glacier, Mt. 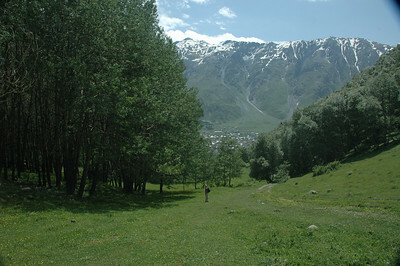 Kazbek, Republic of Georgia. 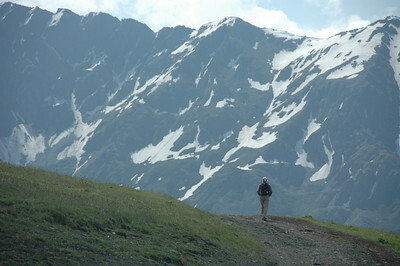 The high Cauacsus mountains, and Kazbegi town, Republic of Georgia. 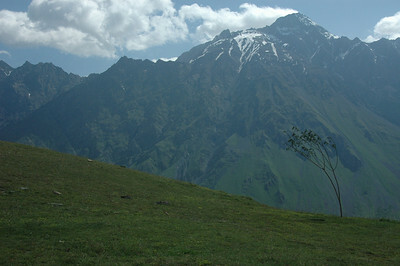 Caucasus mountains near Kazbegi town, Republic of Georgia. 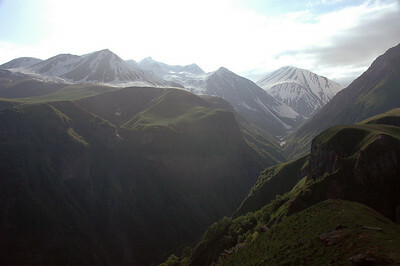 Caucasus mountains above Kazbegi town, Republic of Georgia. 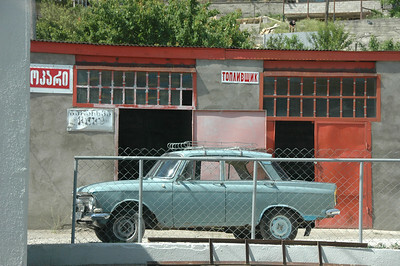 Car on the road to Mtskheta, Republic of Georgia. 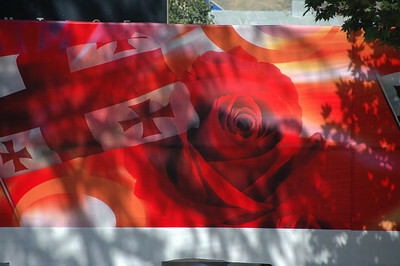 Billboard celebrating the "Rose Revolution" near Freedom Square, Tbilisi, Republic of Georgia. 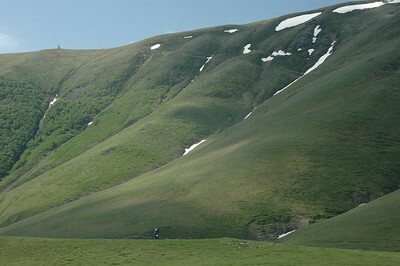 The Caucasus mountains along the Georgia Military Highway, Republic of Georgia. 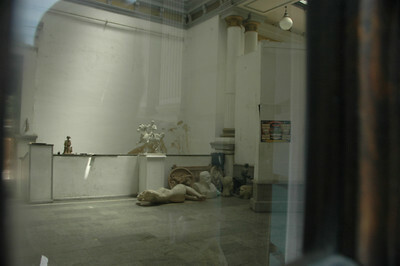 Closed art museum, Tbilisi, Republic of Georgia. 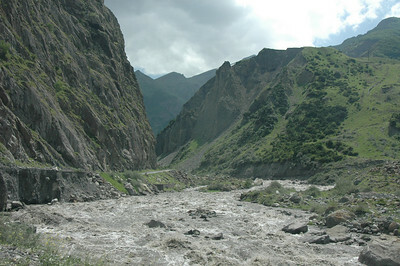 Terek (Tergi) River near Russian border, Caucasus region, Republic of Georgia. View point along Georgia Military highway, Republic of Georgia.